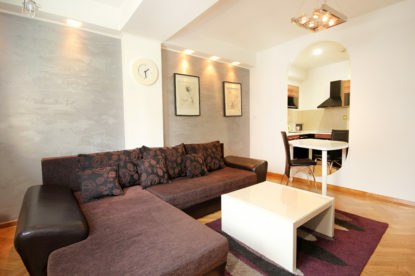 Prag apartment is located in Kraljice Marije Street, one of the busiest streets of Belgrade. The street is considered ideal for living, because it is only 100 meters away from Terazije Square. 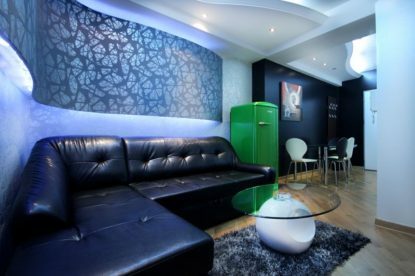 It is one of the best locations for accommodation in Belgrade, because the street is in the city centre, always lively and urban. Kneza Miloša Street is nearby, as well as one of the landmarks of Belgrade, Beograđanka building, and so is Zeleni Venac (district with a big farmer’s market)…Kraljice Marije Street was once known as Narodnog fronta, and it is easily accessible and well connected to other tourist locations. Also, the corner of Kraljice Marije and Vladetina Street features a large public garage for easy car parking. 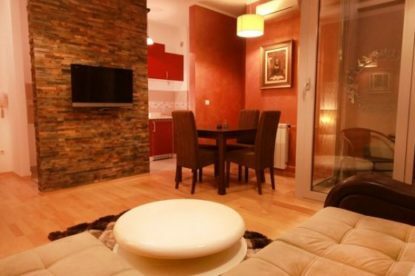 The main advantage of this apartment is its suitability for smaller number of visitors, ideally 1-4, as it is not equipped with several beds, as most apartments are, and space is thus used to make a more homely atmosphere. It has one bedroom with double bed, a large living room with cooking space and the balcony, which is covered, so you can enjoy it even when it rains. You can access the balcony directly from the bedroom, so you can both start and finish your day by going from one to another. The bedroom is large, with make-up desk with a mirror, and the bathroom is similarly extensive. 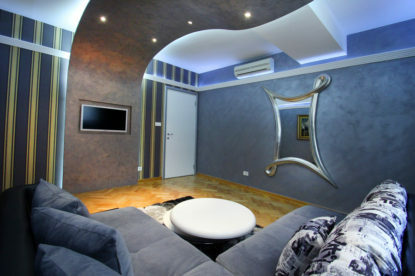 The interior design of Prag apartment is very much liked by our guests, as it is both dynamic and relaxing.